L'Ateliers Des Chefs are experts when it comes to bringing people together over food. 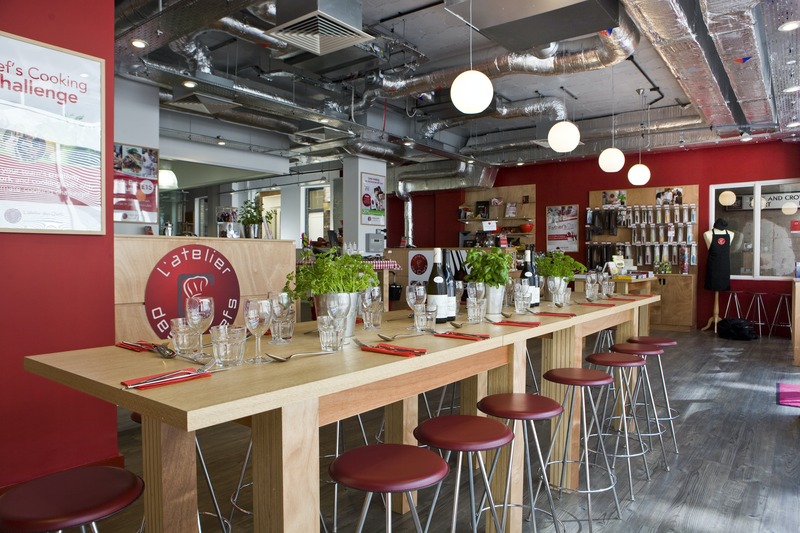 Offering brilliant cooking and dining experiences, they currently have two central London sites, one in Oxford Circus and the other just a stone's throw from St Paul's. 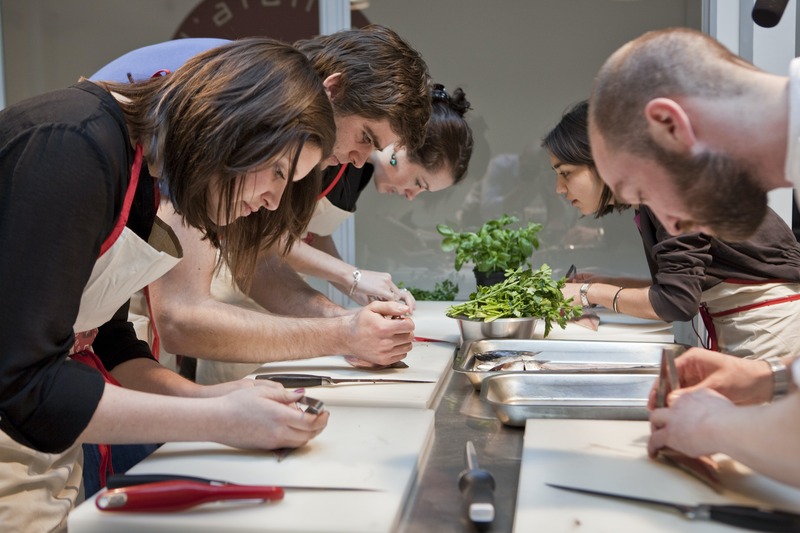 Nothing brings people together quite like food and L'Atelier Des Chefs have created a perfect formula for team building, client entertainment and Christmas parties. 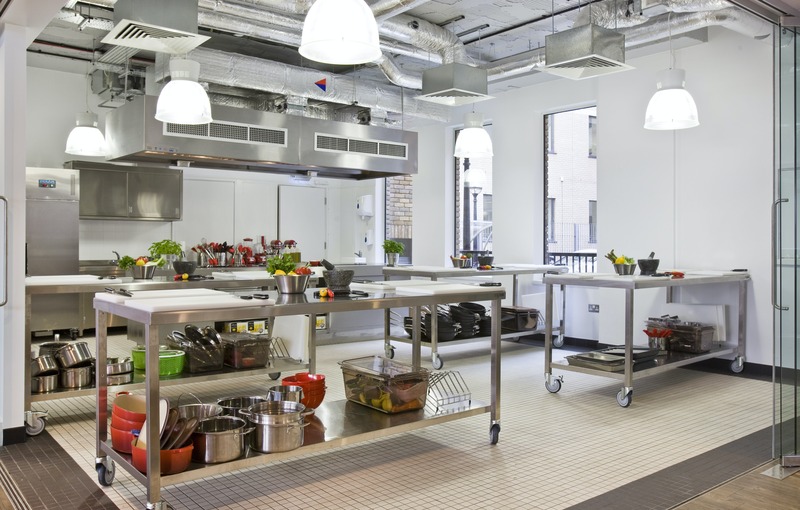 The resident professional chefs have cooked up a number of interactive and creative cooking events that cater to all cooking abilities, get people working together and of course, inspire some healthy competition. After cooking up a storm you'll sit down with your pals in your chosen venue's dining area to enjoy the delicious dinner you've created, with a well-deserved glass of wine or two, of course. If you're looking for a bit of healthy competition opt for the 'Market Chef' experience. You'll be split into teams and tasked with finding ingredients (Apprentice-style) before heading back to create a winning menu with your chef. If you fancy something with a slower pace however, why not try the 'Street Food Market' where the kitchen will be turned into a street food market where you'll cook and eat your way around the world...yum. And, if that's not enough, all the packages have the added option of wine tasting or cocktail making with star sommeliers and mixologists. 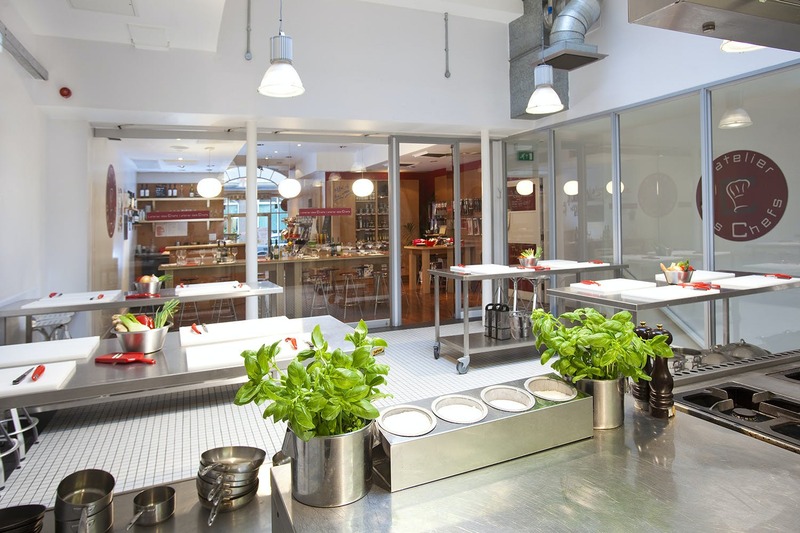 L'Atelier Des Chefs venues are exceptionally flexible, with space for dining, separate kitchens, retail areas and break out space that could be incorporated into an away day. As well as being perfect for team building, the spaces are well suited to product launches and St Paul's also boasts a conference space. Both venues are sleek, with exposed industrial ceilings, state-of-the-art kitchens and the signature L'Atelier Des Chefs red running throughout. L'Atelier Des Chefs has been shortlisted for 'Best Experiential Venue' in the Hire Space Awards 2018. You can see the full shortlist here.